"Hey, what's happening to the weekly contests I know and love?" We are making exciting changes to how we structure our Design Challenges, and we can't wait to share them with you! Rest assured that the contests will continue to revolve around inspiring themes, competing for votes, and will remain open to designers of all skill levels. We love Design Challenges too and are constantly amazed by the artistic talent of our community. Beginning in April, our contests will inspire designs and celebrate designers in new and bigger ways! The timeline for contests will shift from one each week, to one each month. We will announce the new contest themes and open them for submissions on the first Monday of every month, and that's when designers can start whipping up an entry for the contest. Each contest will be slightly different. Going forward, we will be partnering with different brands we love who share our ethos. This will up the ante for our contests and will give contest entrants an even grander platform to show off their surface design expertise. This means bigger and better prizes, too, and more opportunities for our winners to shine. Are you excited yet? We are thrilled for the new opportunities that our changing contest structure will bring to designers and to the vibrant Spoonflower community as a whole. 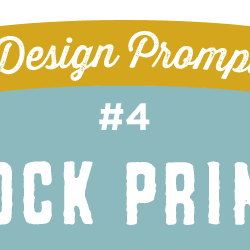 Tune in and check your inbox each day from March 1 to March 15 for a design prompt from a member of our creative community delivered via email and the blog. Share what you design using #SFDesignADay, and see what others are creating, too. Top 10 winners will receive amazing design-centric prizes. Sounds like something you'd be into? 12 Days of Design: Five Ways to Create a Fabric Design! If I win the adobe cloud thing, can I get a cash equivalent, or at least give it away to someone who wants it? I’m signed up! This will be lots of fun. It is nice to have a fresh competition format and the opportunity to win bigger prizes and not just for 1st place is really awesome! Kelsey, sorry to hear your disappointment. If you have any constructive feedback to share please do let us know, we’re always listening and striving (believe it or not!) to create fun, engaging contests. Hey Hanna, thanks for this question! We will not be providing a cash equivalent, but will ask Adobe about transferring the prize should the winner choose to forfeit it. Looking forward to something a bit new. Love the idea of monthly rather than weekly so we get a good amount of time and can participate in more of the challenges. By changing the contest length from a week to a month, we have three less chances to make it into the top 10 and three less opportunities a month to promote ourselves. The Adobe prize seems more like a prize for Adobe than us, since it cost them nothing and will probably get them more subscribers. Also, a design-a-day seems unrealistic… How are we supposed to design something every day or even in a day? Will you still be offering top ten bundles and/or making winning designs available for purchase? I’m disappointed by only monthly contests, but understand it must be a lot lot for spoonflower to administer! But sponsorship and more prizes will no doubt mean a great many entries! This sounds great! I’m excited to see what’s in store with your new partnerships and contest guidelines. 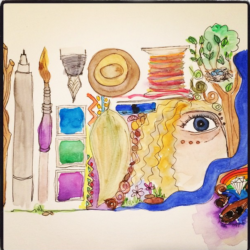 Signed up for the design-a-day challenge because sometimes a deadline is just what I need. 😉 Thanks!! I’m a little disappointed in this too. There have been times when 5 or 6 weekly contests were listed and I’ve skipped the first 4, because I had no interest in them, and concentrated on 5 and 6 because I really liked them. Now instead of just missing out on 1 month I’m potentially missing out on 4 months. Why not continue the weekly challenges and just add the monthly challenge with the added prizes? It just seems like if you want to increase creativity and user involvement, you should increase, not decrease, chances to participate. I don’t feel like this idea was well thought out. I agree! It is way better to have many choices and to be able to pick the themes we are the most inspired by. If you cannot participate in every single one of the fifteen days..can you participate in any? Hey Kelsey, There may be some confusion– The Design-A-Day SpoonChallenge is just for the month of March. This particular structure is not replacing the weekly contests. It is just happening in between during the transition period. Every so often, we hold a series called a SpoonChallenge (http://blog.spoonflower.com/spoonchallenge/) where our community can choose to follow along with daily content delivered to their inbox. You may choose to participate or not, and you can follow along at your own pace should you choose. The month long contest structure in its new form will officially begin in April. Yes, you will technically have less chances to get into the top 10, but more time to hone your design and the prizes will be more robust and hopefully will make a bigger impact. Thanks and we appreciate your feedback. I haven’t been around very long, so I’m not sure that my voice is very loud in the crowd, but I’m failing to see anything positive about this change, or why it has to mean the end of the current contests. It didn’t seem like you were filtering the designs to ensure contest restriction compliance, so the only part of throwing contests that wasn’t automated (or at least, couldn’t be) was posting design ideas and taking and uploading pictures of the winning designs printed. There are huge lists of contest design ideas on the Spoonflower Flikr that could be used, so no one would even need to think in order to continue the weekly contests. Having a design a day for fifteen days then giving one day to enter is the equivalent of asking people to do 15x the work they used to in order to enter, or restricting people who aren’t willing to do 15x the work to only one day to design their entry. Even people who create 15 designs only really get two days to design their entry, since they’d only be putting one day of effort into each design, and would then have a second day to perfect it. People entering the contests have lives and careers that fill their time- there is not enough potential in winning a contest or even just selling on Spoonflower period to justify dedicating every single evening for two weeks to creating a new design. Giving people at most effectively two days to create a design will either decrease the quality of submissions, or end up with people submitting pre-existing designs. If the prize for winning the new contest is indeed a three-month free subscription to Adobe, that sounds like a horrible prize. We all have software we use. Some people pay for Photoshop, some people don’t. If you don’t and you win the contest and start using the software in three months you either have to fork over money for a subscription or go back to your old method that worked before but now may feel subpar. Maybe you have some amazing design prize waiting in the wings, where every month the designer will get their design printed on a product or sold in a fabric store that will equate to real income and exposure. That would be awesome! But even if you do, there is no reason to end the weekly contests. They take so little effort on your part and are a great community builder for your user base. 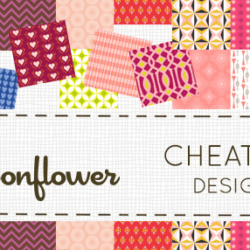 I became an active spoonflower designer to enter the contests, and I already miss them. Please bring them back! I’d like to know this too as I am moving next weekend and might not have internet for a couple days. 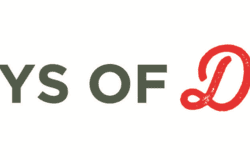 I am new to spoon flower and was thrilled to have an opportunity to enter but just as I was getting ready to enter, the contests stopped and now only limited to one a month. Please return to weekly. Also why not take the top 5 of each week and make a monthly contest with those winners for a bigger prize. I think one thing that is being overlooked in Spoonflower’s announcement is the fact that designers will have a chance to showcase their designs to different brands. That kind of exposure and opportunity is fantastic! I also think that these new monthly challenges will surely be well thought out and curated. I’m certainly not opposed to having more design challenges each month, but I am excited about larger-scaled contests and the opportunity to showcase designs on a larger scale as well. This is really disappointing. Is there any chance we’ll go back to a weekly contest? I don’t think any of these brands are going to be looking at us as potential employees… Spoonflower’s whole model is built on turning designers into sales people and customers, not getting us jobs in the industry. The companies that are pairing with Spoonflower are looking to promote themselves to us, not hire us. I also have concerns about changing to monthly. Not least because of the sheer number of designs you already have to trawl through for voting. What’s that volume going to look like with monthly contests? It will be impossible. I’m just not seeing how reducing the number of contests to monthly promotes what you said about “designers of all skill levels” They may be open to all skill levels, but with fewer winners (since it is once a month), fewer people will get exposure, and fewer people have a chance to win. I’m really disappointed that this seems to leave the core base of Spoonflower users/designers/buyers out of the whole process in a practical sense. For me, participating in weekly contests has really increased my participation and enjoyment of Spoonflower, not to mention more sales, with the added exposure and I haven’t even had a top ten entry. The current quantity of contests really helped those of us who aren’t what you’d call top tier (and are happy there). How about a big formal monthly contest and then some weekly challenges/mini-contests or something to keep the rest of us interested and involved? Maybe the mini-contests could have a small prize $10 or $20 spoondollars. or even better, maybe a highlighted winning designs section on the website or something? I never really enter for the prize anyway. Excellently stated, twizzkid…ditto all the way! I never expect to “win” – I just so very much enjoy getting favorited by my peers for my contest designs, which far exceeds other “favoriting.” This is the win for me. Not a good plan, Spoonflower! I love how when people first responded they asked for constructive feedback, but once they started receiving it they stopped responding. There are a lot of other websites that have contests with more significant prizes- they also get a lot more entries. I just used the SP contests for the community. Now that this avenue has been closed, I will leave my designs up, but I’m going to refocus my energy into other projects. What do you mean by “Share what you design using #SFDesignADay”? Where do we share? In our “shop” or somewhere else on your website? Are the designers that provide the “tips” pages ahead of time for the blog eligible to enter the contest? I was just wondering if the designers you are promoting through the the theme tips for each day on the blog page are eligible to enter the contest? Oops! I did not mean to double-post. My apologies, please feel free to remove one of them. I just went to look up the subject and deadline for the next contest. I am disappointed to see that we have 24 hours to draw and enter a design (I was unable to create 15 designs within the past 15 days – not sure what average person, with average jobs, could). My contest designs usually used to take me 3 to 7 days to complete. Is this going to be the new contest arrangement in the coming months?